Circle of Animals . . . . The National Museum of Wildlife Art just ended an exhibit (May 9 – October 11) billed as “an exhibition of imperial proportions in an unparalleled mountain setting.” These sculptures arrived in Jackson, Wyoming after being exhibited in Mexico City, London, New York and Chicago. 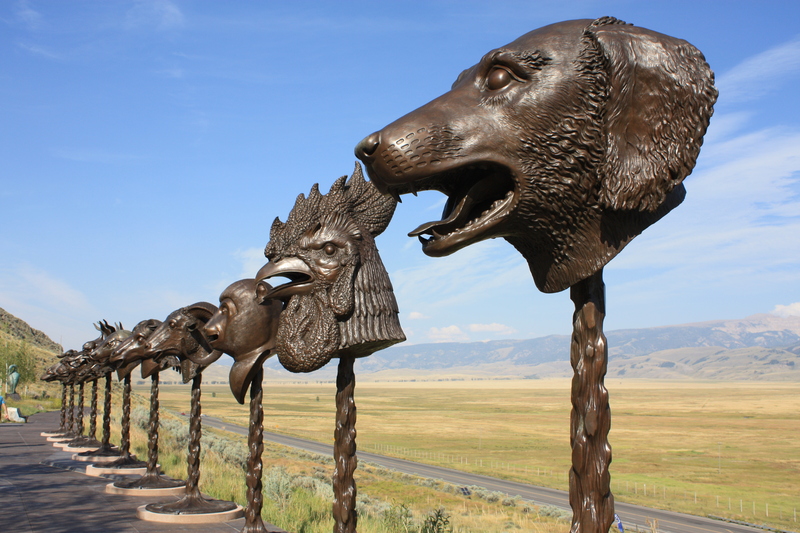 The zodiac heads is the first major public art sculpture by celebrated contemporary Chinese artist Ai Weiwei. 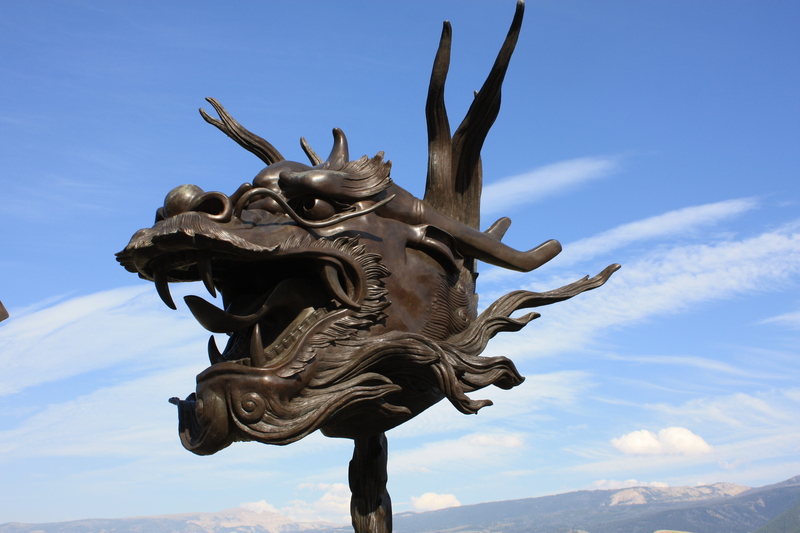 The bronze works were inspired by an 18th-century zodiak fountain in an imperial garden near Beijing, which was looted by French and British troops in 1860 during the Second Opium War. Seven of the original heads have been recovered; five are still missing. Ai Weiwei’s Zodiak Heads are designed to recreate the figures from the original fountain and to draw attention to the pillage of art by foreign governments. He is an artist, architectural designer, curator and social activist, and the son of Ai Qing, one of China’s finest modernist poets. His work has been exhibited in museums and galleries around the world. This exhibit at the National Museum of Wildlife Art was exceptional in all respects and we were glad of the opportunity to see it. 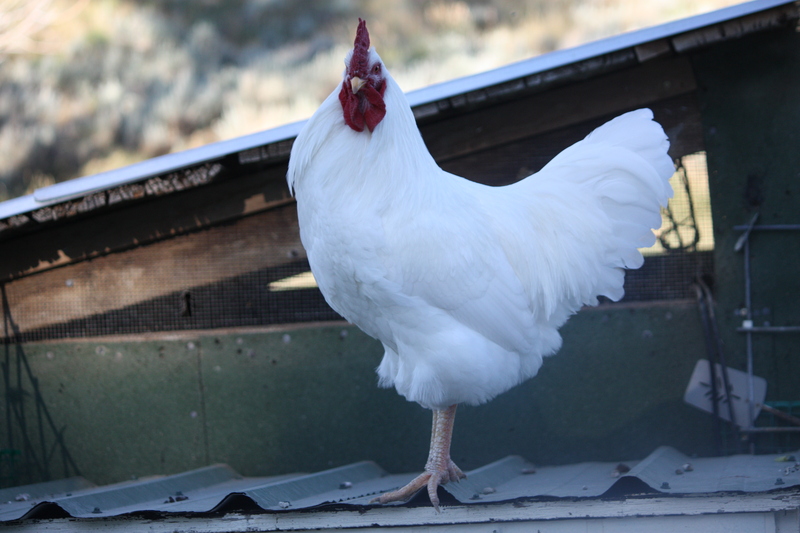 A pioneering spirit . . . .
Now this looks like something I can relate to–my Chinese zodiak symbol the rooster! 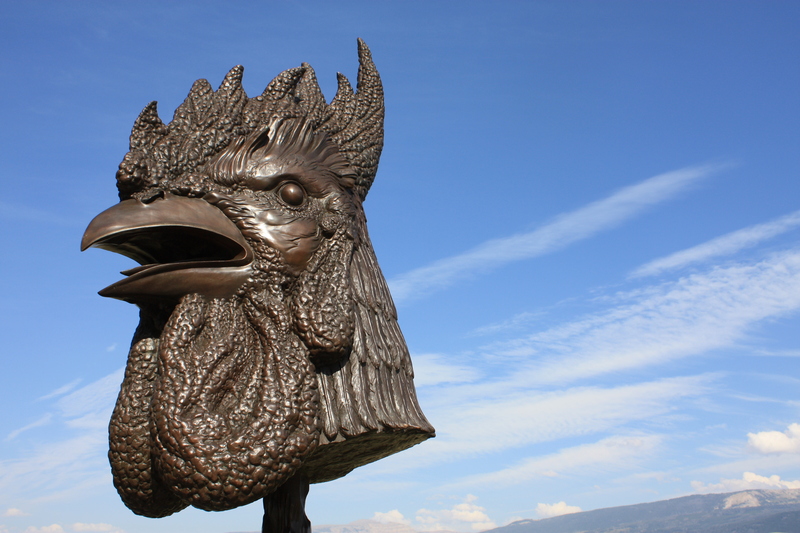 According to the literature, the rooster “seeks wisdom and truth, has a pioneering spirit.” These sculptures are massive and rise to approximately 12 feet from the ground. They have incredible design detail and animal spirits. Feel the dragon’s breath? . . . . This one is spectacular and while the dragon is “robust, passionate, complex,” I would suggest that it is fierce and all-powerful! King of the roost . . . .
And then there is Cromwell, a little closer to home. Hmmm, is the reason I cannot seem to part with this rooster is my affection for my zodiac animal symbol?